I have been a lurker for a while and have decided to register to finally seek out some input regarding my humble purchase. I bought this watch from watchery.com and although I am very pleased with it, given the number of "fake" movados out there, I am a tad leery about its authenticity. I am a tad worry because I found a site owned by watchery, which sells imitation watches here Edited by moderator. 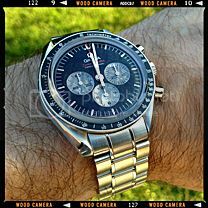 Please don't post fake watch sites. I have attached some pictures for your review. Can you spot any telltale signs of an "impostor" watch? Is this Movado authentic? I am looking forward to your responses. Thank you so much for your time. Last edited by Ray MacDonald; November 4th, 2008 at 14:11. Thank you so much for providing the link. I really appreciate the feedback. Last edited by Ray MacDonald; November 4th, 2008 at 14:10. Ok, I see. So can someone plz shed some light or even speculate as of the authenticity of the watch? If it is a fake, I would like to return it while I still can. Please help a girl out. Thank you!!! If you call Movado 1800 #, they can only tell you if the case back number is a valid one, but will require you to send the watch into them for authenticity validation. That is my experience with them in a similar situation. If you are not secure in your purchase, return the watch. If you are, then be ok with it, enjoy the watch and let it be. Don't let the insecurity of your purchase spoil your enjoyment. My 2 cents. No more watches for a while for me ! Why dont you go to a real movado dealer and have a look at one? I took a look at the photos that you posted and the movado watch looks real. The only way to really know is to take it to a jeweler ot call Movado direct with the serial number. I have purchased from thewatchery a few times and I actually took those watches to a my local jeweler every time to check it out. They were all 100% authentic watches. Whats great about the watchery is that if have a concern they take it back! I once bought a watch from thewatchery and I didnt like how the style looked on me. I called them and they took it back without a problem. Before buying a watch online I would tell you to look that 4 things are in order. 1. Make sure the dealer takes credit cards, you can always disput charges if its a fake. 2. When you call the place speak to a person. Make sure you can get through quickly. 3. Look at the return policy, anything less than 30 days is not acceptable. Especially if you are buying an expensive watch. 4. Search for the dealers name on google and see if they have positive reviews.